The article compares real estate licensing numbers from 2005 to 2010 and explains the reasons why people are entering real estate now. 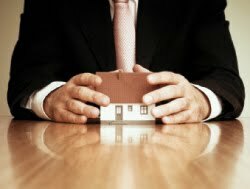 If you are interested in getting into real estate and would like to learn more, go to our website to learn about the steps involved in getting licensed – http://www.larsoned.com/realestate/licensing/howtoobtainalicense/ or join us for one of our Real Estate Career Nights. Our next Career Night is on August 10 from 6:30-7:30pm in Fort Myers.